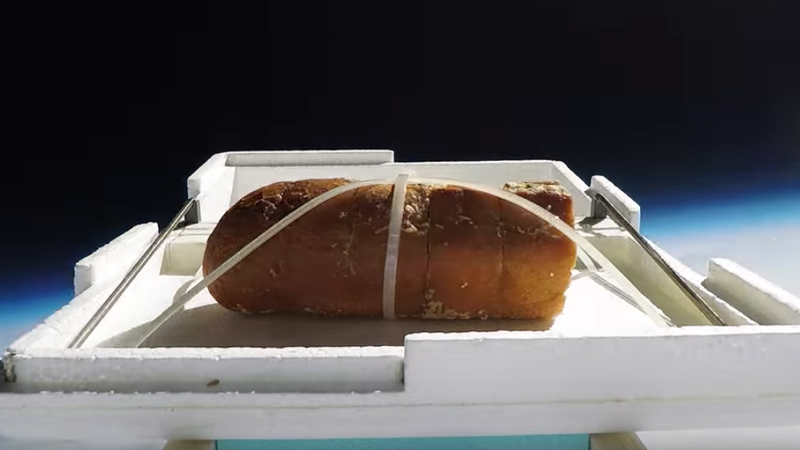 Using a weather balloon, the men put half a loaf of garlic bread on top of a box headed for space, leaving the other half of the loaf of garlic bread for Earth. Thanks to a camera, we get to see the garlic bread’s amazing travels, nearly exiting the atmosphere completely before the balloon breaks and it plummets to Earth, as a special cover pops over to protect the bread in its crash-landing. Find out how the space bread tasted, besides cold, in this well-worth-watching video. Ask The Salty Waitress: Should I ever leave the ordering to the kitchen?